Cyborg Drivers are Safer than Regular DriverssteemCreated with Sketch. 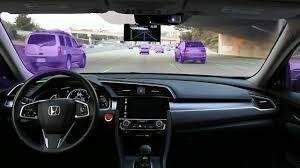 Imagine a car with cameras in 360 vision, which could be fed to a VR headset. Do you believe you could drive the vehicle from that information? I think I can, I do it all the time with my FPV drones. IF then the problem can be solved by interfacing human senses and actuations with the vehicle's sensing and actuation. So too can a software interface be trained in parallel to control those same inputs from human as baseline. The human has override precedence and is correcting the computer model, this is how real learning occurs. Smooth Driving is safe driving, all possible outputs are within a limited range for safety. Comma AI has around 250 daily drivers online at the moment, the data sent back to comma computers gets trained and updates the vision model and supported cars after pushed to github. 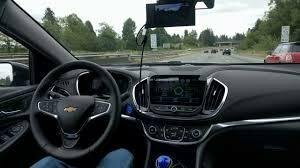 The community there discusses the ongoing process of improvement, for those who are making their cars capable of interfacing with OpenPilot, as well as those already online. They have offered an affiliate program for the purchases of their DEV kits. This is still fairly new to the world and to grow it needs more users. This is my link it will help me afford the kit for myself and i'll help you get it working if you use my link. 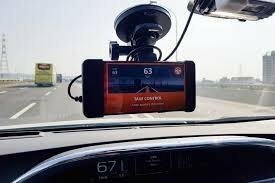 The OpenPilot software is open source and can be used by anyone under the MIT licencing. I want a car with OpenPilot(OP), the working models currently supported are available here . Basically Honda or Toyota, 16' accord is cheapest. I wonder what oldest supported car is #oldcars ? I'd like the Toyota Prime, ideally, to transition to an electric vehicle with lane keep assist technology(LKAS). Tesla would be even better but I cannot afford that yet so cheapest LKAS I can find likely 2016 accord from what slack community says. A primary objective of OP is to improve driver safety by taking control on the highway and driver monitoring, the driver is still responsible for the vehicle. Drivers have the option to upload their drives to comma servers to update the whole network. Persons with OP installed will eventually get statistically greater drive safety than vehicles without OP. This we will prove with our collected data, we will need to create an insurance for vehicles with many 9's of safety like OP. 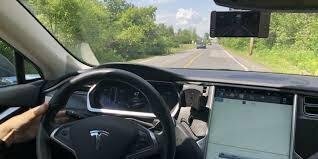 By taking in the car and camera data, EON and comma.ai trains their model using this data, and then uploading to github where and the revised model is then downloaded to the EON. The next drive reflects the new data in the driving model, so you are buying a progressing product. I went to the Honda and Toyota dealerships with a specific goal, albeit a lofty one. 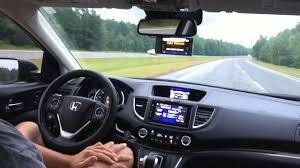 I wanted to ensure that OpenPilot operates properly in the vehicle but I want the dealership to buy the device, (Highway lane centering is what I want to buy(from them)) I told them I would install it and get it working. I was told I could do that if I promised to buy the car. My intention is to provide a stepping stone to more effective driver assist. 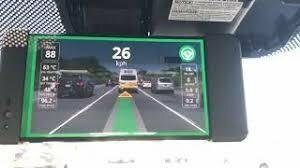 I provide the initial capability for them which their competitors do not have, hands off lane centering where the human is correcting and teaching the car to drive. Over the air updates means improved driving over time. If they refuse, I will find someone who does, eventually those without high quality driver assist will be at a significant disadvantage. I was aware that the likelihood of persuading a dealership to buy one of these systems was low, however I have struck in their mind the possibility. This means that I am now more dedicated than ever before, to converting a car, which I don't own (haha) so that I can show people it is possible. If I had an EON kit to install in the Honda, I could, if I promised to buy the car, install and get it working. Thus my current goal besides classes is to make my own work. I believe I should find someone in the CS dept who is interested in OP with a compatible car, the following problem would be to have all the necessary parts to make this work. Ideally we should just buy from comma and use the 2016 civic, accord, or rav4. We can expand capability as interest grows. Anyone interested in hands free lane centering?